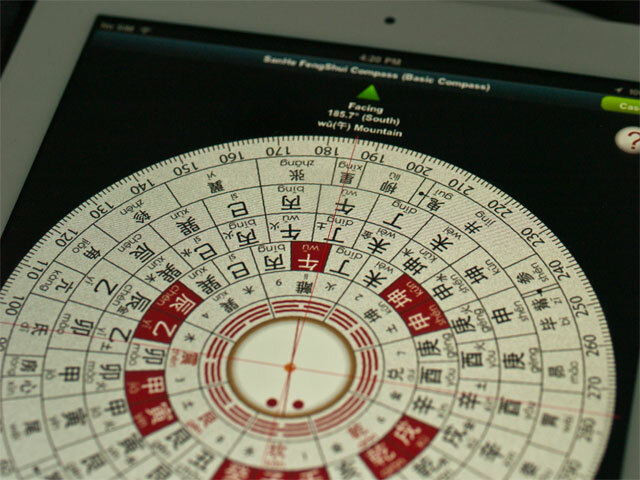 SanHe FengShui Compass for iPad turns iPad into a fantastic tool for any enthusiast or practitioner of SanHe FengShui. It has numerous features built in making the learning and auditing experience a breeze. 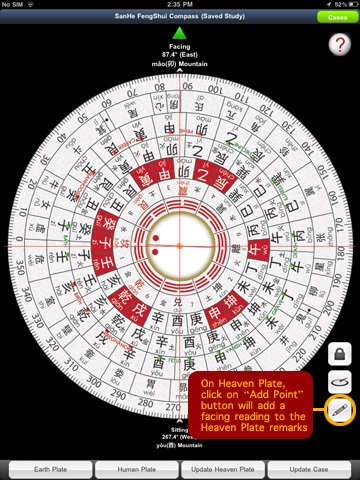 * Includes Later Heaven Trigrams (Bagua), Earth Plate, Human Plate, Heaven Plate and 28 Star Constellations. 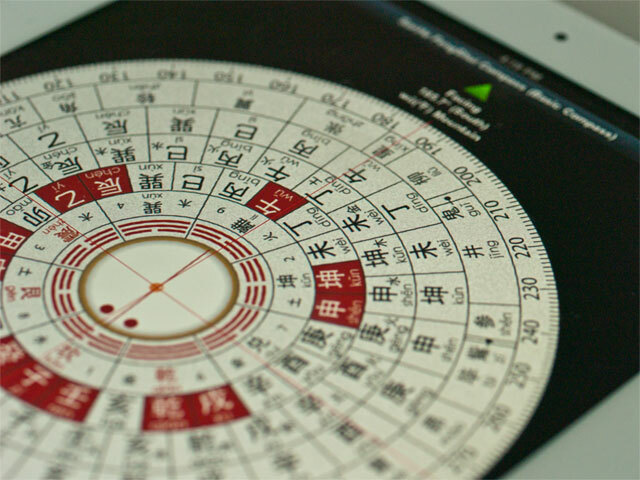 * Mark a direction as a reference point before pointing the compass to other directions to take readings. 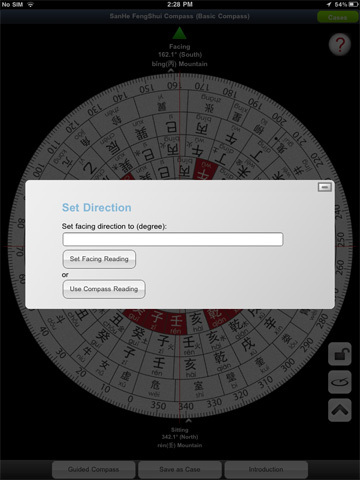 * Obtain the direction reading automatically using the built in compass of the iPad or manually entering a direction. 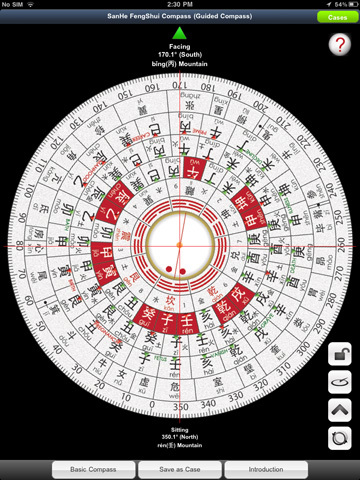 * Lock the compass when it is taking direction reading automatically. 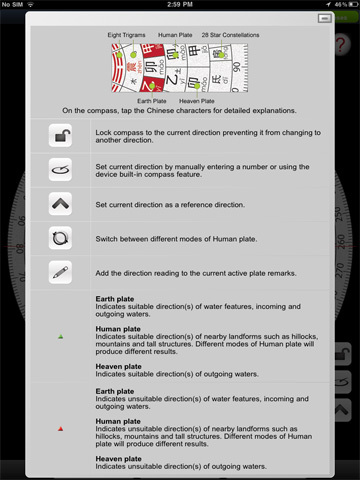 * Compass operates in basic mode or guided mode. 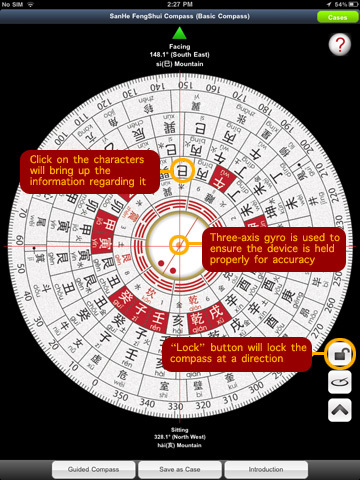 In guided mode, hints are displayed on the compass to indicate the suitable directions. * Switch between 2 modes for the use of Human Plate. * Save the readings as case studies and able to backup to our server for free. * Add additional information and remarks in each case study. * Add direction readings to remarks with a click of a button. 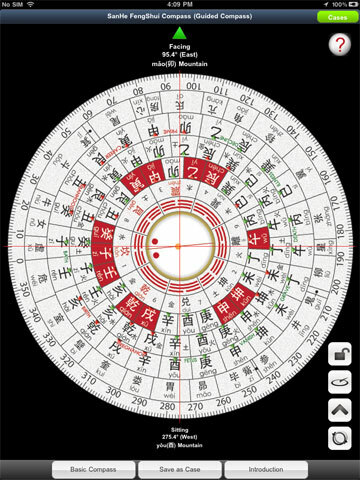 * Explanations provided when tapping on the characters on the compass making the learning experience a breeze without bringing reference books around. Please note for features like True North reading and the readings of longitude and latitude, Geolocation feature on the iPad must be available. For product support, please email us at support@master-360.com or click on the Enquire button. 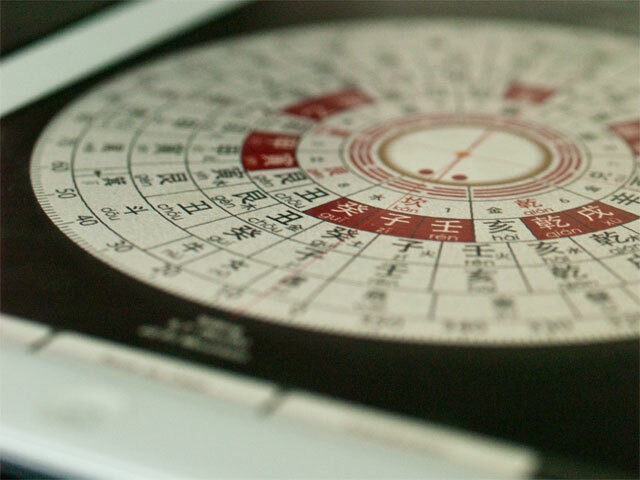 Guided compass has the same functionality as the Basic compass. 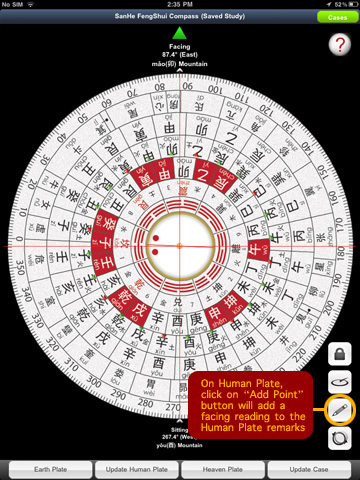 On top of that, it displays help markers on Earth Plate, Human Plate and Heaven Plate based the theory of usage of these plates. 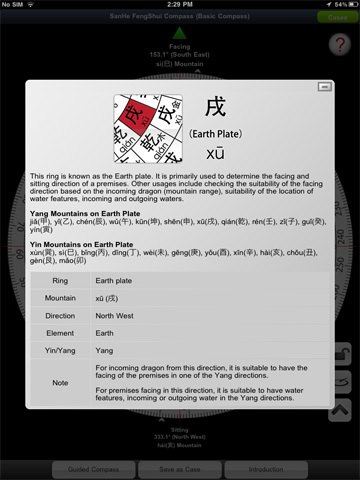 Reference marker can be added on the compass when facing at a direction to mark the facing of a premises. 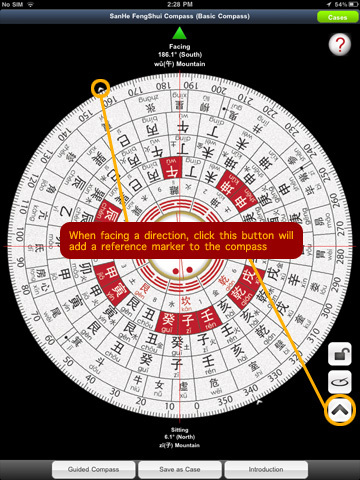 After adding the reference marker, user can start to check the direction of other surrounding features without losing the facing direction on the compass. 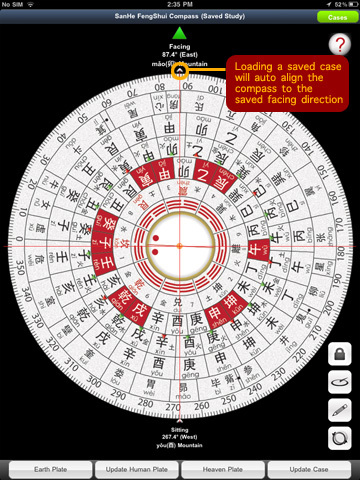 Tapping of the characters on the compass displays the information about it. 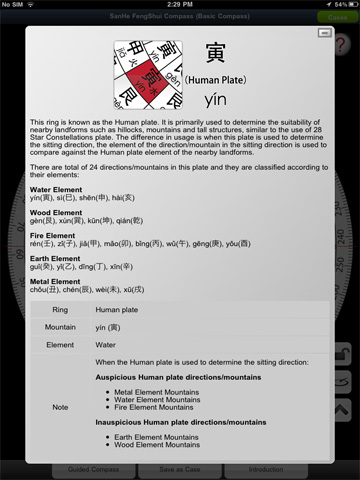 Direction of the compass can set by using the built-in compass of the device or by manually providing a degree value. 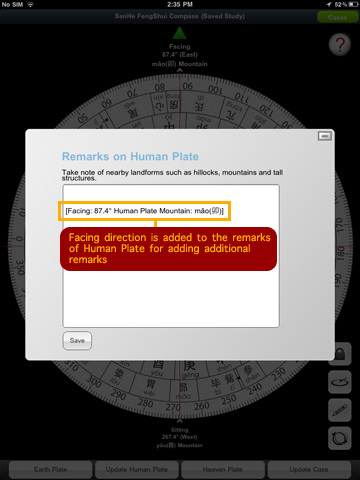 The Human Plate help marker has 2 modes available. 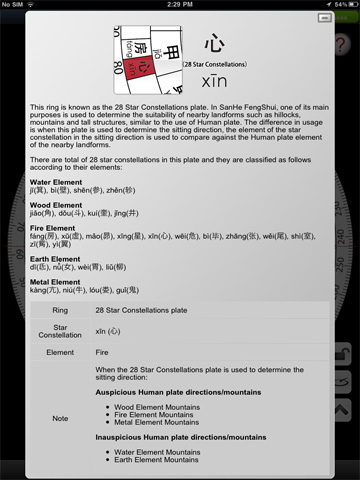 One mode is based on the Human Plate Mountain and another is based on 28 Star Constellations. 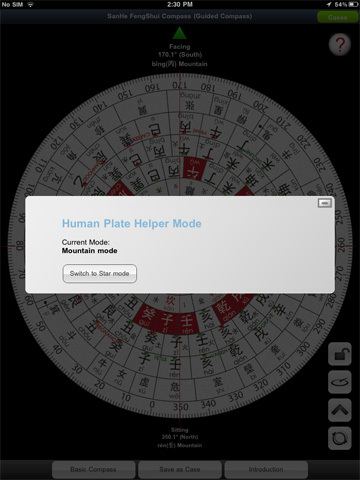 Each mode will produce different help markers. 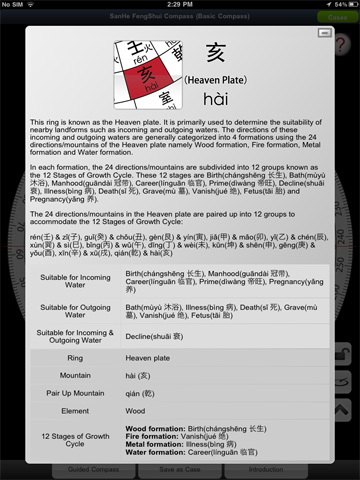 Display the function of the buttons and the meaning of the help markers. Saved cases are firstly saved on the device. These cases can be deleted as well as uploaded to the server for backup. 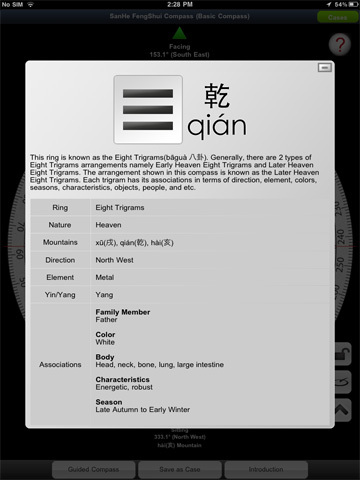 From the Saved Cases on Device screen, each cases can be loaded for revise and study. 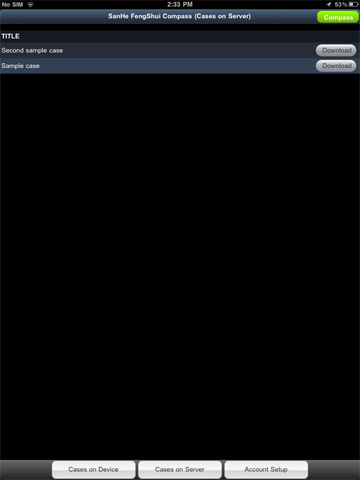 Cases uploaded to the server can be downloaded back to the device when necessary. In order for the cases stored on the device to be able to upload to the server, an account needs to be created first on the Account Setup page. Saved cases on the device can be accessed for updating and revising. They can be accessed from the Saved Cases on Device page. The readings and case information can be revised and updated. 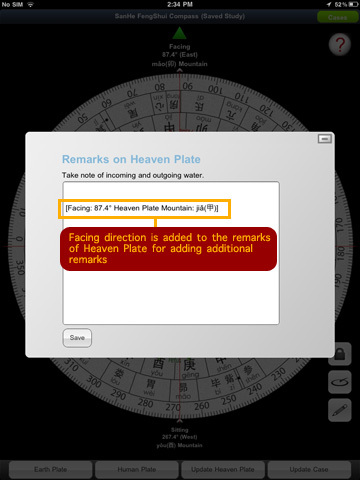 Earth Plate, Human Plate and Heaven Plate have their own remarks area.